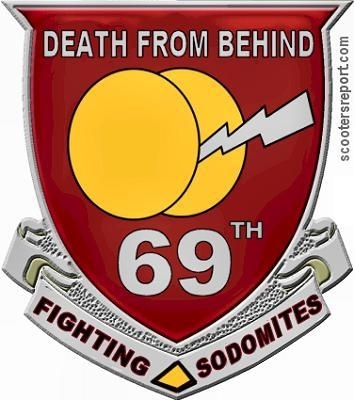 In a potentially controversial move, the Pentagon will announce the formation of a new all-gay, all male brigade named the “Fighting 69th Sodomites.” Sources credit the creation of the 69th to House member Barney Frank, who has reportedly been working “very, very closely” with gay Pentagon officials. THEIR MOTTO IS: NEVER LEAVE YOUR BUDDY’S BEHIND! Posted in Democrats and tagged Humor.